10. WWF Royal Rumble (1993) Well as I said this is very much a personal list, but even if you weren’t a fan this was still a great game (my younger sister can testify). It was a huge improvement on the first WWF outing on the SNES (Super Wrestlemania) with better animations of the characters and diverse controls for special moves, it was easy to pick up and play – this is the ultimate game for nostalgia, in simpler times when you had a lot of respect and admiration for a man called Randy pulling funny faces in his underpants. 08. Super Tennis (1992) Just a very good sports video game. 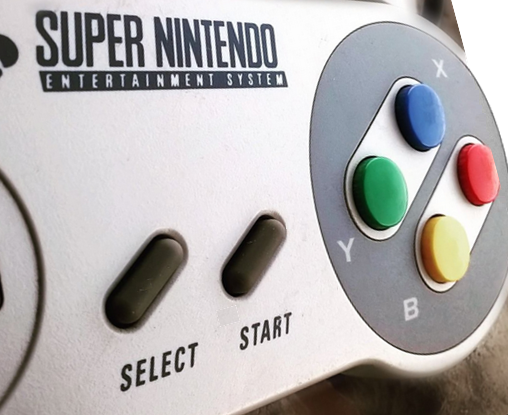 This genre is not to everyone’s taste but being a big sports fan and lacking in ability means the likes of me spending far too much time living out some of my fantasies on a video games console. This game had real bounce, it perfectly captured sport in a virtual environment because it was fun but could prove very frustrating. It had a neat style to it, similar to sensible soccer, but the motions more similar to Final Fantasy or Mario even. Very neat indeed. 07. 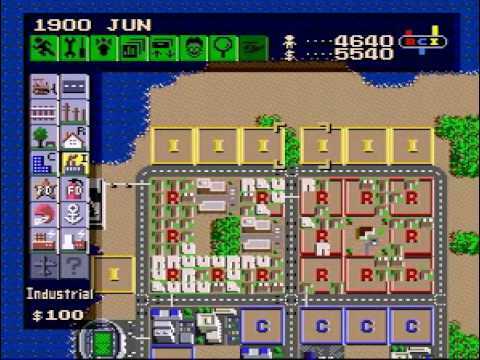 SimCity (1989) An enjoyable strategy game, sometimes games are fun because they give you the chance to explore your more destructive side (see Lemmings above) but not so with this one. No, this was all about discipline and building a balanced environment for your population, a good life lesson learnt here, nothing too excessive (although that approach was also rewarded I never found success with it). Softly, softly, catchy monkey – please note there weren’t actually any monkeys in the game. The success of this title launched a very successful franchise (anybody addicted to “The Sims” feel free to post a comment below…). 06. Super R-Type (1992) A very addictive game, very much still stuck in the 8-bit era but great fun nonetheless. 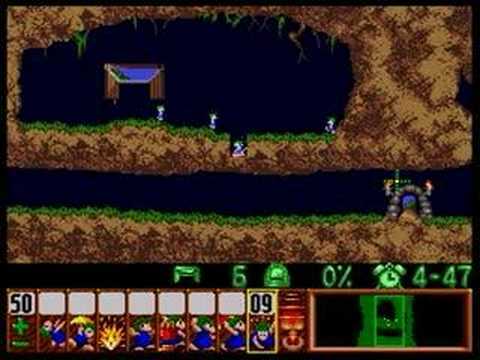 The 16-bit version allowed the screen to get very busy compared with previous editions and somehow as a player you were able to keep control of the situation often just firing randomly and blazing your way to glory. Difficult in the latter stages but a very good side-scrolling shoot ’em up! 05. 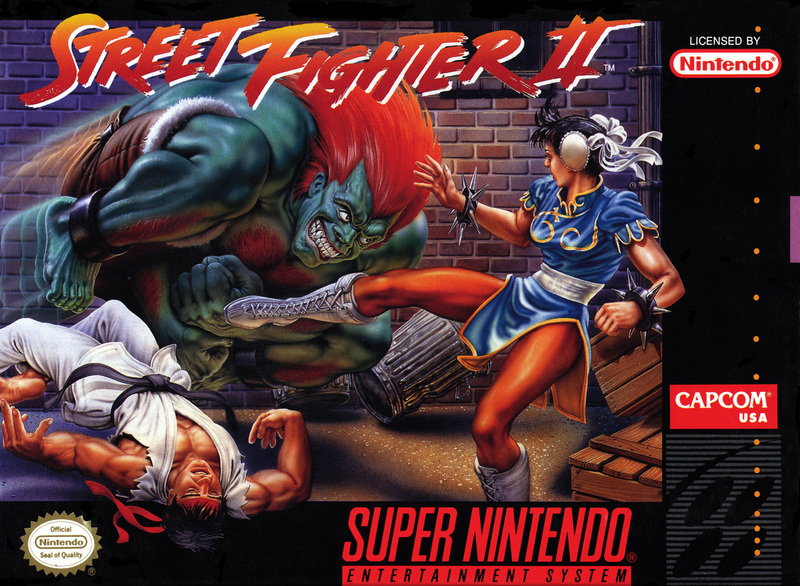 Street Fighter II (1992) I know this was eventually made into a quite awful feature film but when I think back this video game, the power of its effect on me, even with very little commentary or story to follow means my memory of it exists very much like I remember a film. What I mean is I can totally remember immersing myself into the world of each character and the potential journey before them jetting across the world to become champion. That’s the power of video games right there. 04. Goof Troop (1993) Not quite long enough to make the Top 3, I might have a passion for video games but it doesn’t mean I’m very good at completing them (like books to be honest, I have a very short attention sp…) and this didn’t take very long to complete. However, I did so with much help as the puzzles were very well structured and not straight forward so again this is about my personal experience, but it’s another good representation of how well-made the Disney licensed Capcom games were on the SNES. 03. Donkey Kong Country 3: Dixie Kong’s Double Trouble (1996) Probably showcases just what the SNES was capable with gorgeous graphics, large based levels to explore and interact with and hidden games all within the environment. Just spare a thought for our parents who had to ask in the shop if they had this in stock. 02. 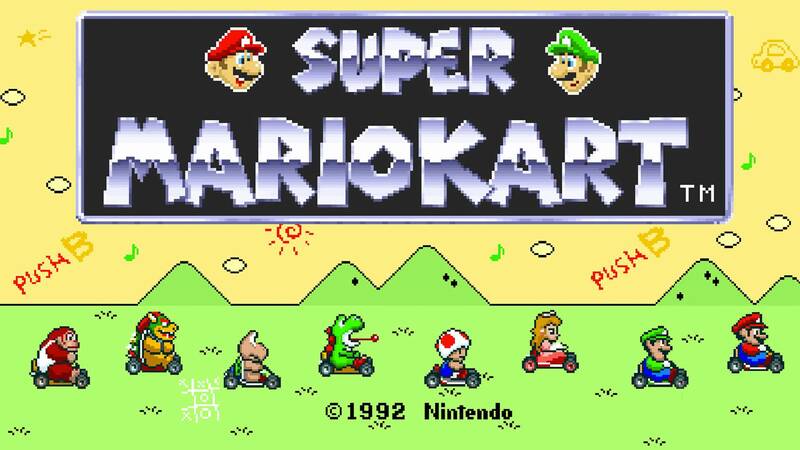 Super Mario Kart (1992) Difficult not to name this as numbero uno, it’s a game that will never get old in terms of its playability, a groundbreaking format for racing games. It’s no surprise it is now available in its eighth installment on the Wii U continuing the legacy of a franchise which is a fantastic video game in single player mode and quite probably the very best in multiplayer. 01. Super Mario World (1990) I could have gone with Super Mario All-Stars but as it is effectively a reboot of the NES games I thought I’d pick the SNES-exclusive (since made available on later consoles) which continues on from the NES versions with the best platformer there has ever been (and probably ever will be). Beautiful graphics and worlds to explore, genius character designs despite the back story of an Italian plumber rescuing a princess with help from a dinosaur. It’s a game that is so simple and easy to pick up and yet can be so frustrating and difficult to complete. There are hidden parts to explore, shortcuts and extra features to uncover and collect and the fun never ends even after you’ve completed it. 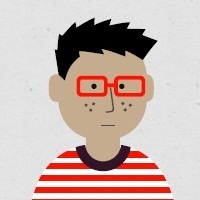 Key to a good videogame is that it’s hard to put down but this also has the Avatar effect of offering a world you quite like being able to dip into and getting lost for a few hours. Simply the best.